510-SUP Intro class is a prerequisite for our 510-SYC class. Our 510-Yoga can be taken without any previous paddle experience. Enjoy the ancient practice of Yoga combined with Stand Up Paddleboarding. 510-Yoga Vinyasa classes incorporate all your favorite yoga poses and puts them on the water. Practicing yoga brings balance and restores the body by creating physical, mental and spiritual harmony. Combine yoga and SUP to build better balance, coordination, endurance and body strength! Balance the mind and body in this energizing Vinyasa class on the water. 510-Yoga is for all levels of yoga and paddling experience. In a 90-minute 510-Yoga class we begin by reviewing water safety and basic paddle techniques before getting on our boards; a warm up paddle out to a calm anchor spot will warm the body and focus the mind; we anchor our boards and begin our hour Vinyasa yoga; practice ends with a blissful relaxation on your board; you paddle back to the dock with renewed energy and a peaceful state of mind. 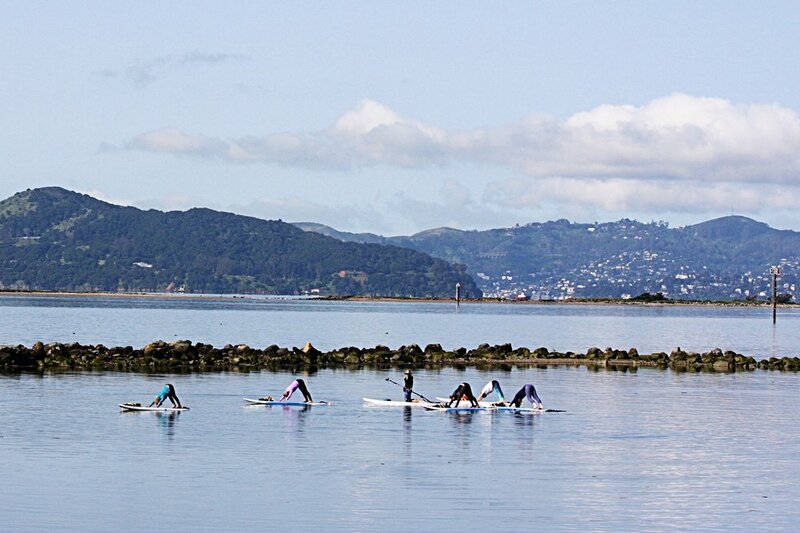 SUP yoga combines the calming properties of water with the exciting balance challenge of the board. This is a hybrid class designed to Balance, Lengthen, Center and Strengthen. We will spend a third of our time paddling, a third of our time practicing yoga, and a third of our time working on core strength. This class is the perfect addition to any fitness routine, bringing focus to whole body power and balance. Participants must have taken 510-SUP Intro class prior to taking 510-SUP Yoga Core class. 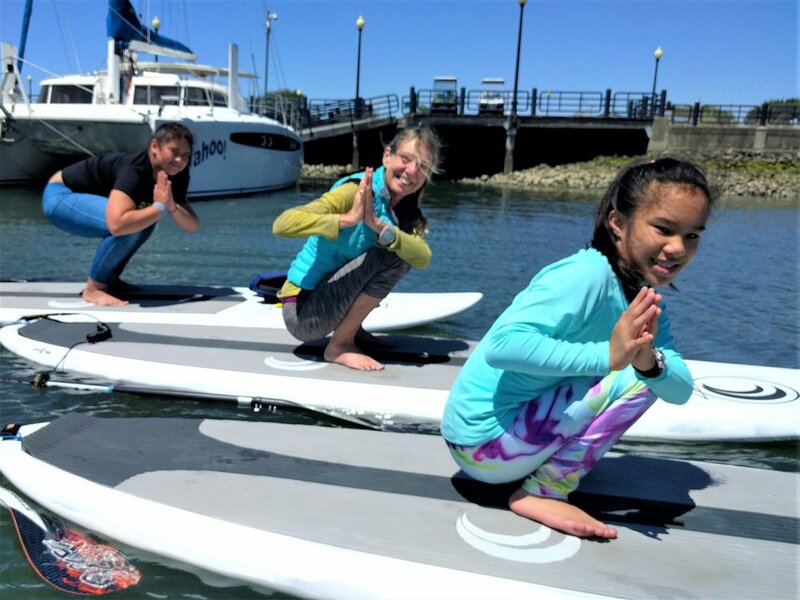 Price for both 510-Yoga and 510-SUP Yoga Core includes board, paddle, leash, PFD (personal flotation device), and led by a WPA SUP Yoga and RYS 200 Hour Certified Instructor. You may want to plan on getting wet; while not guaranteed, falling off the board does happen. Minimum age is 16 years, minors must be accompanied by an adult. 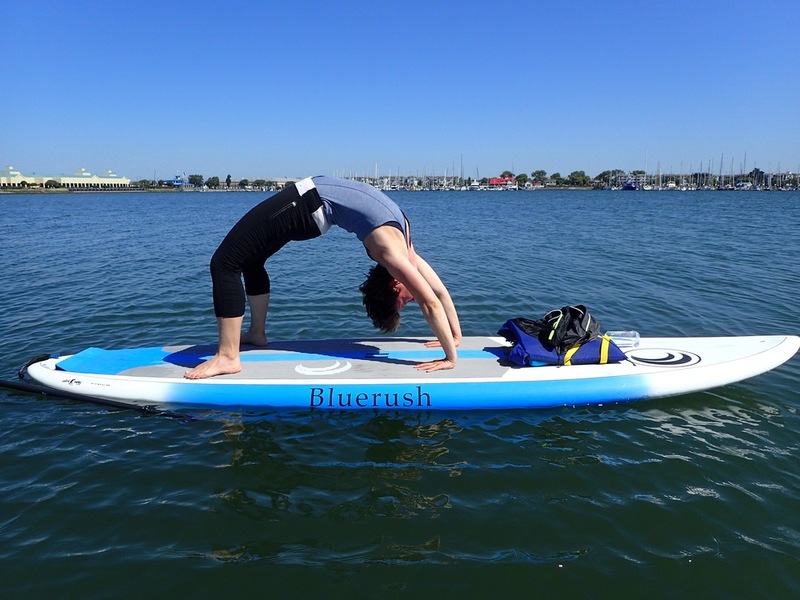 Here's a link to the Huffington Post - "10 Reasons to Try Stand Up Paddleboard Yoga"